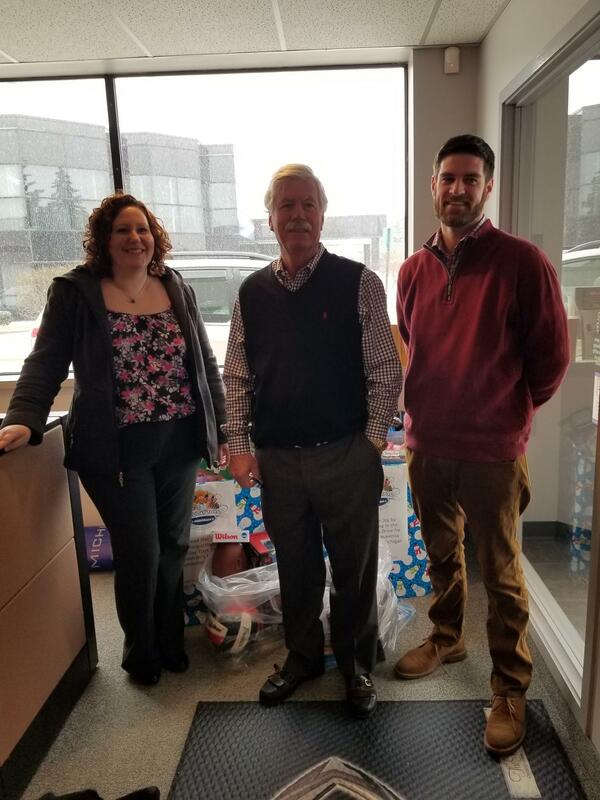 MacKellar Team hosts 4th Annual Toy Drive for Children in Need | MacKellar Associates, Inc.
Rochester Hills, MI – Year 2018 marks the 4th annual toy drive to benefit the children and teens whose families are affected by leukemia, lymphoma, and related blood disorders. To combat some of these stresses, the MacKellar Associates, Inc. team is working with Children’s Leukemia Foundation of Michigan (CLF) by hosting a toy drive during the month of October. The MacKellar team is asking the community to bring an unwrapped, new toy or gift card to their Rochester Hills, MI location. The boxes will be located inside the main entrance(s) – front and back – and will be accessible between normal business hours (8am-4:30pm) Monday-Friday. Your generous donation will help make a difference in the lives of children undergoing painful treatment in hospitals and clinics throughout the state. Steve, Barb and Andrew MacKellar are not only part of the MacKellar team, but also huge supporters to Children’s Leukemia Foundation of Michigan. Below is a testimonial from CLF’s President Heidi Grix. You, too, can make a difference. MacKellar Associates, Inc. is located at 1729 Northfield Drive, Rochester Hills, MI 48309. About Us: MacKellar Associates, Inc. is a 4th generation, family-owned business that continues to grow and prosper through its four diversified divisions, including Manufacturers’ Representatives, Promotional Products, Custom Decorating, and The Blanket Lady. Born in 1923 from an expertise in building brands, we offer unique, quality products, excellent service and customer-focused marketing. This year marks MacKellar’s 95th anniversary!